I remember being pregnant, and up all night because I was too hot, cold, uncomfortable or too worried about having all the right stuff to sleep. What would I do with my insomnia? Surf the web looking for ways to ease my mind of course! So when it comes to hunting down the Top 10 Baby Necessities for you Infant, trust me when I say I’ve done the research and the worrying for you! Mostly I was on Pinterest building up my “Little Boy” and Parenting Preparation Board and looking through every single top 10 list I could find on a blog made by a real mother. So here it is, my pay it forward list to those of you who are in your final trimester, with that new unexpected and totally unnecessary wave of panic that has set in. 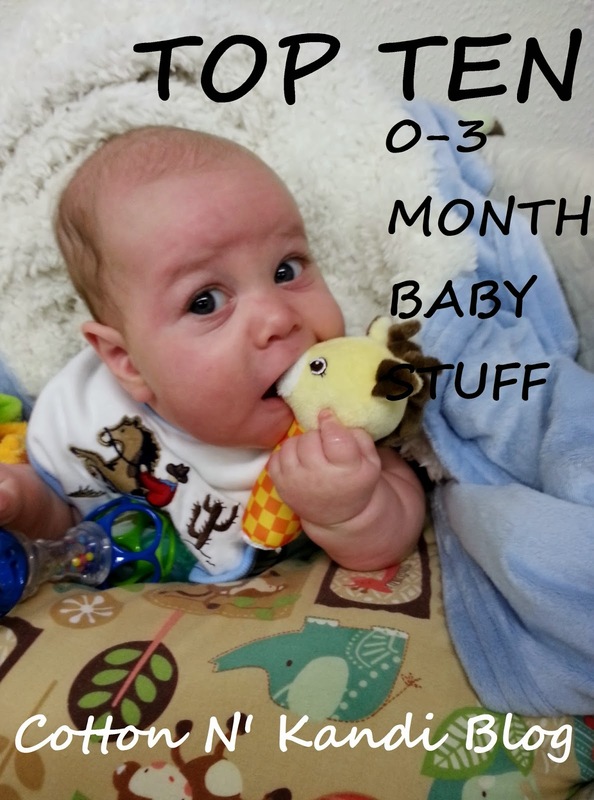 Here is my tried and true list of top ten things I/we used when we brought him home from 0-3 months. Bonus Mom Tip: Become an Amazon Prime Member… FREE 2-Day shipping on Diapers means no lugging that car seat carrier into stores at late hours! Also, register for Ebates, so that when you DO make an Amazon Order, go through Ebates first and get 2% cash back… You’ll thank me later. 1. Boppy Pillow: Our Baby- It seems obvious enough, but you’ll use this nearly EVERY DAY until they can support themselves better. I know that there are many other support pillows out there and ones that might even be better for you, but I liked this because it was so “stiff” and firm and it was easier for me to support my elbows on it while breastfeeding. We also let just about every relative use it when they held him the first time! “This glider has a smooth rhythm that will soothe your little one back to sleep as he or she nurses. You’ll enjoy the relaxing motion and the super padded, soft upholstery. The position lock lets you find a comfortable position and secure it in place when you don’t feel like gliding. The reclining position supports you if you want to get a little rest while your baby breastfeeds. You’re going to love this piece of furniture more than anything else you own.” Our Baby- That last line is seriously true….even though this chair seems like such a splurge, think about how much time you’re going to spend in it! For the first three months I think I spent at least half the day in this one spot, in this one chair. Every time you feed your baby and every time you rock him/her to sleep, or even just to read a book. Not only that but I’m pretty sure the reclining feature on this chair saved my life for the last month of my pregnancy… this chair was literally the only place in our entire house where I was comfortable enough to sleep! HERE is the link to the exact one we have. 3. Fisher-Price Precious Planet 2-in-1 Projection Mobile: Our Baby- We would put him in the crib and he would just smile and laugh and coo and kick his feet up at the projection. It really did mesmerize him to sleep, happily. Mobiles were one of those things that I spent HOURS researching before registering and there just didn’t seem to be any that did everything I wanted. This one takes D batteries, which after using every single night and three times a day didn’t have to be changed until he was 2.5 months old. This one was probably the most expensive model we could have got, but it has well paid for itself already! 4. Halo Sleepsack Fleece Swaddle – Newborn: Our Baby- I don’t know about you, but for some reason my husband and I just couldn’t quite master the artistic swaddle that those nurses make look so effortless at the hospital. Not only that, but when we tried he would wriggle out of it in 5 minutes. These sleep sacks saved us. They are so trustworthy and cozy. It made me sleep so much better knowing that he didn’t have that loose blanket we used to swaddle floating around with him! Plus you can put their arms in or out. Cash slept with his arms in for about a week and then just really loved to sleep with them free and over his head, so we just let him. 5. BOB Revolution SE Single Jogger Stroller: Our Baby- This is my husband’s single most favorite baby item, which is great because he used it the most. 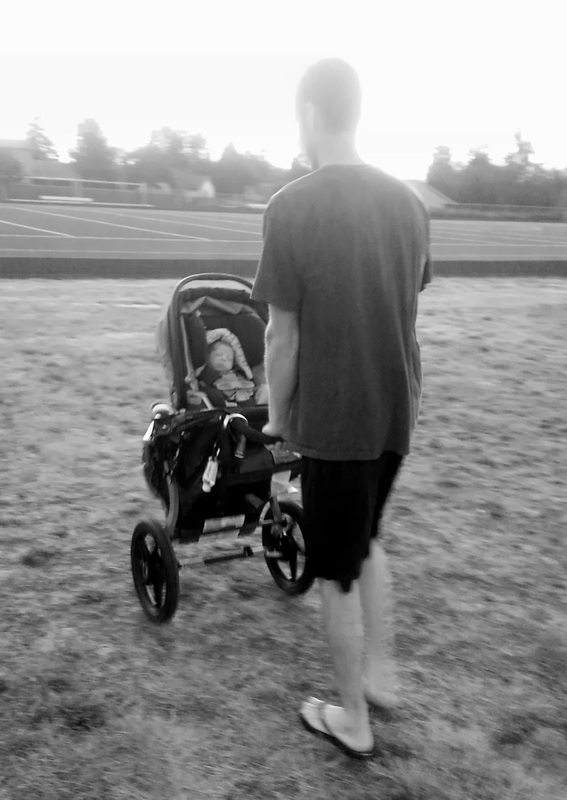 We were out walking around the middle school track with this stroller the week we came home from the hospital. The all terrain tires provide for such a smooth ride over any surface that the baby sleeps through the whole trip. It is also so easy to handle, it practically pushes itself, but then it has a great parking break that is really durable. 6. Graco Duet Connect 2-in-1 Swing and Bouncer: Our Baby- We LOVE this swing and consider it the staple of our baby system. Fortunately for us the way that our house is laid out we have positioned this swing on a corner that is pretty much in the center of all commotion. When Cash sits in the swing he can observe just about everything except for one nook in the kitchen. He would literally hang out in this chair for hours just looking at us as we buzzed around him doing chores, laundry, making bottles, etc. Also, the chair can be removed and used as a bouncer, so we would put it on the floor to play with him, I’d bring it in my office so he could sleep with me in a smaller space as I worked, etc AND the chair vibrates! It soon earned the name of “poop chair” in our house and old faithful has never let us down since! As you know if you have newborns, poop is a big deal, and if it doesn’t happen for a while they get supper frustrated and fussy. This chair calms it right out of him every time! 7. Floor Activity Gym: Our Baby- As you will soon learn, there isn’t much a newborn can do when they are awake yet. We really enjoyed this activity mat because it has the motion activated noise and light tiger, meaning that the setting is activated to blink and sing when there is motion on the arms. Cash would then reach and kick the arms of the structure (which are foam) to make it light up. He also learned to reach for the rattles and toys suspended above him. Sometimes he would even play himself to sleep. 8. Baby K’Tan Baby Carrier: Our Baby- I absolutely LOVED this carrier for when he was little. It is such an organic feel, like wearing a soft shirt and they are just still a part of you. I dress in very loose fitting clothing already so this was totally my style which is maybe why I liked it so much, it was just like putting on another scarf or wrap, very natural. He was also very secure and cozy in it. I could wear it up to 7 different ways, though I only used it for 3. He did get a bit to “squirmy” for it when he got strong enough to wriggle around and want out. It definitely isn’t constricting or “industrial” enough to contain a rambunctious kiddo. I upgraded to the Baby Bjorn which we’ll discuss in 3-6 Month Necessities. 9. GracoPack ‘n Play Playard with Newborn Napper Station LX: Our Baby- This was the perfect location to safely lay him down while in the living room or traveling to family’s houses after he was born to do the unavoidable “Tour de Babe”. It also vibrates and has a light on it for checking on him at night. I actually took the light pack off of the pack and play and put it on the Arms Reach Bassinet for the 3 months he slept in our room. Bottom line- Every one needs a portable crib for whenever you’re going to leave home for a few days. Plus it will be useful when they get older. 10. Arm’s Reach® Mini Arc Convertible CO-SLEEPER® Bassinet – Natural: Our Baby- We basically had to get this because the pack and play just didn’t work in our bedroom. My husband had to break it down and cram it through our doorway and then block our bathroom door every night to get him to sleep by me, so that lasted about 3 weeks until I finally bought this bassinet, which is much smaller and never had to be taken out of our room. Also, once Cash was sleeping in his crib I took this to my office and kept it there so he had a permanent crib at my work. (He went to work with me every day from when he was 2 weeks old until I closed up shop 12/31/13 when he was 5.5 months) The Arm’s Reach really made our lives easier, though it might not be a necessary expense for everyone. I am certainly no “baby product expert” but I do remember being pregnant and “studying” for parenting all night when I couldn’t sleep scouring blogs and Pinterest for Top 10 things you’ll need. This is my humble attempt to pay it forward. If you are awake in the middle of the night (or morning) reading this, I feel for you, it is okay to go lay in the refrigerator door because you’re over heated, do it, I won’t tell! I hope you find this reassuring and helpful. Best of luck and check back in for my 3-6 Month list! Life is what you make it and when you accept your Sweet & Sticky you can regain control of your chaotic #MomLife. Goals! Your weekly dose of Sweetness Awaits! Previous Post Price Comparison on Homemade Baby Food vs Store Bought | Is it worth it? Next Post New! Newsboy Baby Hats!